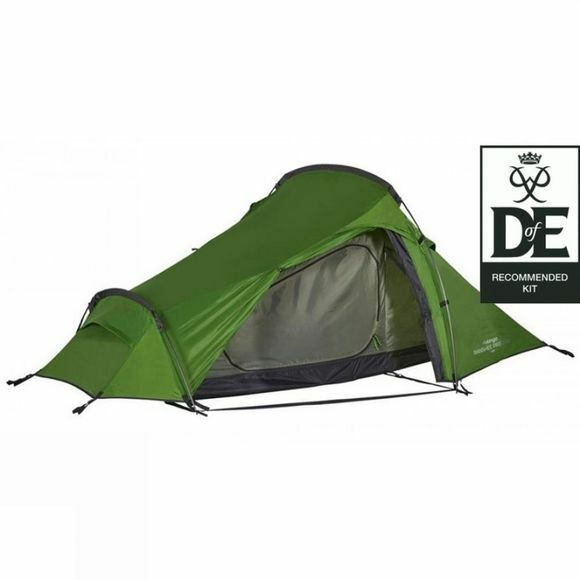 The Vango Banshee Pro 200 Tent 2018 is an excellent trekking tent packed with appropriate features that make it ideal for beginners who apsire for many adventures to come as well as those who are well broken-in to the wonders of the great outdoors. The Tunnel design pitches as one to ensure a quick erection in stormy weather but also allowing you more time to enjoy the sun when it is out. There are two doors to the tent offering great access to both sides at the same time while the single porch can also be used solely as a storage area if you need it to be. The TBS II Tension Band System ensures your tent continues to perform in adverse weather conditions, in particular strong, changeable winds. When tensioned, the bands brace the pole and prevent sideways movement but it is important just to remove the slack and not to over-tension the bands as this can deform the poles. 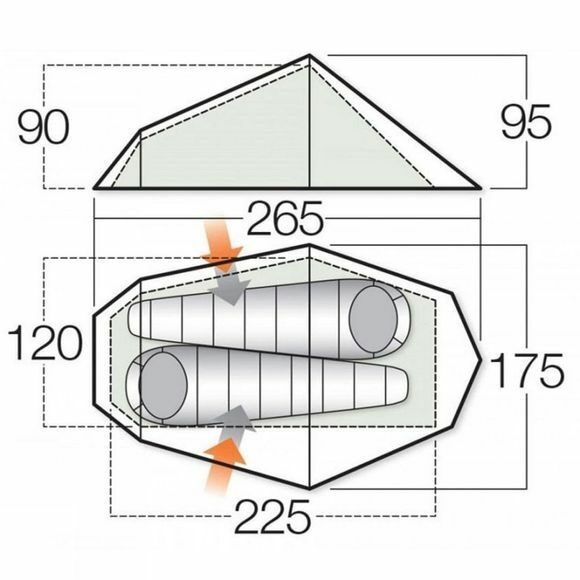 The tent is intuitive to put up and the guy lines are situated at optimal points around the tent to ensure a secure and sturdy pitch everytime while pre-angled sections in the poles offers more useable living space than a standard arch and further helps to brace against troublesome wind conditions.